Brett, Greek Coins (MFA), no. 0836. Diameter: 19 mm. Weight: 4.28 gm. 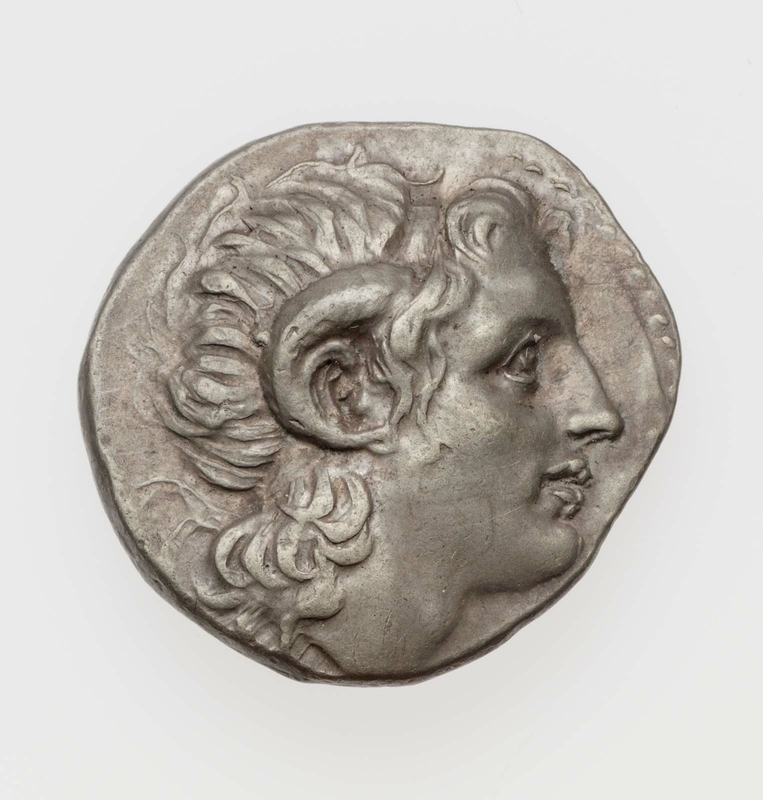 Obverse: Head of deified Alexander to right, with horn of Ammon and head-band. 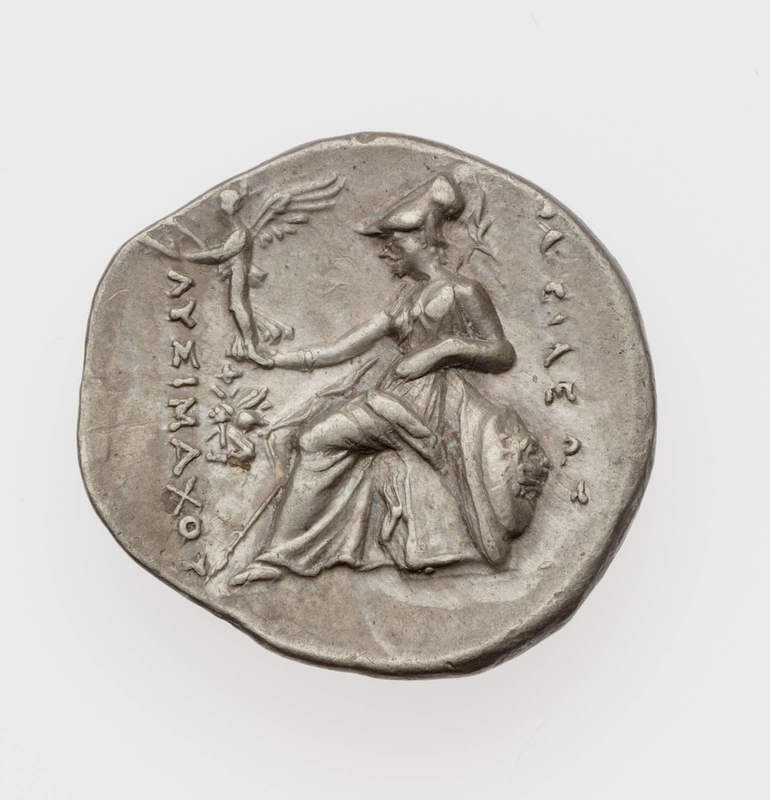 Reverse: Athena seated profile to left, holding a Victory in her right hand, her left arm leaning upon her shield, a spear at her right side. Inscription in Greek in the field at left and right. In the field at left a bee between two letters (not in the field at right).